Note From Dan: Jenni Catron is a friend and sharp leader. I’m fired up about her guest post today! Her experience as a church leader, and mentor to leaders, brings wisdom and practical insight to us all. Her new book is titled: The Four Dimensions of Extraordinary Leadership: The Power of Leading from Your Heart, Soul, Mind and Strength. Highly recommended… and now here’s some wisdom from Jenni. Leadership is hard. It’s a difficult calling and responsibility. If I finish my life and haven’t left a mark or made an impact that was significant to another person’s life, I won’t be content with that. It’s my “holy discontent,” the term Pastor Bill Hybels has coined to describe the deep passion within us that moves us to make a difference. My holy discontent is to be an extraordinary leader. I want to jump out of my skin, inspired, when I see an extraordinary leader in action. I want to go into hiding and never emerge again when I fail remarkably in critical leadership moments. 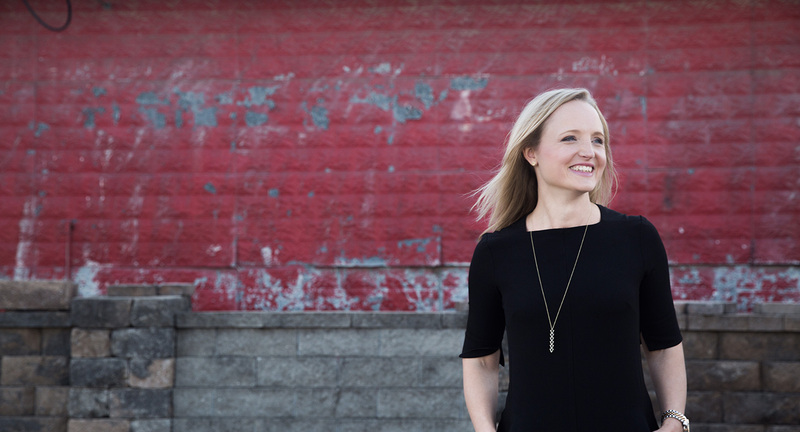 My name is Jenni Catron and I have had the privilege of serving in executive leadership at two large, multi-site churches – Cross Point Church in Nashville, TN and Menlo Church in Menlo Park, CA. In over 12 years of full-time ministry, I have frequently come face to face with my inadequacies and inconsistencies as a leader. As my responsibilities have grown, so has the awareness of my need to continue to grow my leadership skills. 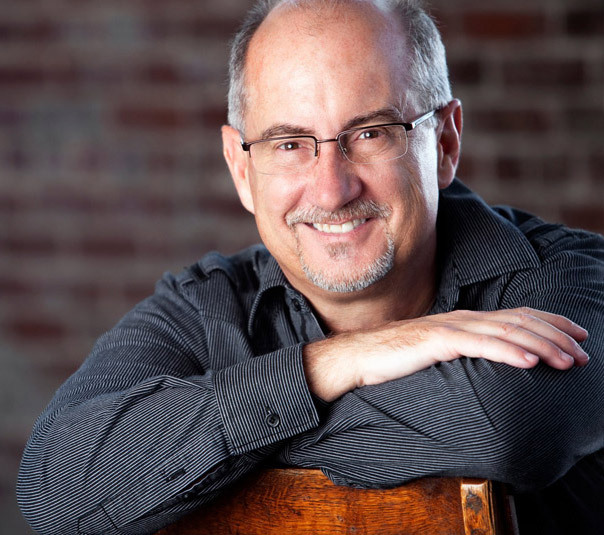 Click To Tweet The Great Commandment has enormous implications for us as leaders. When Jesus asked us to love God with our heart, soul, mind and strength, he was essentially saying that we should love God with all of ourselves – with everything in us. Leadership requires all of who we are – heart, soul, mind, and strength. Soul – The soul is the part of us that longs to know God. It is the spiritual component of our leadership and gives us the sensitivity to engage in conversations that help lead people closer to God. Mind – The mind is the seat of intellectual activity. It enables us to strategize and to make plans. Leading with our minds allows us to make wise decisions about stewarding all the resources that God has entrusted to us. Strength – As leaders, we provide strength for our teams when we understand the power of vision. Visionary leadership means keeping hope and possibility in front of yourself and those you lead. Which one of the dimensions are you naturally strong in? Which one is more challenging for you? Click here to take a FREE online assessment to learn more about which dimension you most naturally lead with. 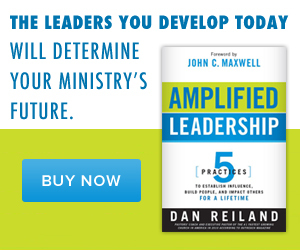 I believe that extraordinary leadership emerges as we learn to lead with all four dimensions in mind. While we will naturally be strong in one or two of the dimensions, when we learn to lead with an awareness of all four, extraordinary leadership emerges. I believe we can develop in heart, soul, mind and strength and live out our leadership in ways that truly change the trajectory of not only our lives but also the lives of those we lead. We aspire to leadership because we want to make a difference, we want to influence change, and we want to make a mark. I believe the Great Commandment shows us the way! 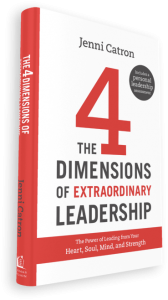 I have 2 signed copies of Jenni’s new book: The Four Dimensions of Extraordinary Leadership to give away! If you’d like a chance to win one, simply click to tweet below to be entered. Every tweet counts! The winners will be randomly selected on 10am on Wednesday, February 3rd.